SANTA CLARA — Known for its long and challenging course through some of the region’s most attractive areas, the True Grit Epic Mountain Bike Race will enthrall and test mountain bikers Saturday. The race begins and ends in downtown Santa Clara at the Santa Clara Town Hall, 2306 Santa Clara Drive, and treks through miles of fantastic trails in the hills southwest of the city. Late registration remains available online through Friday. 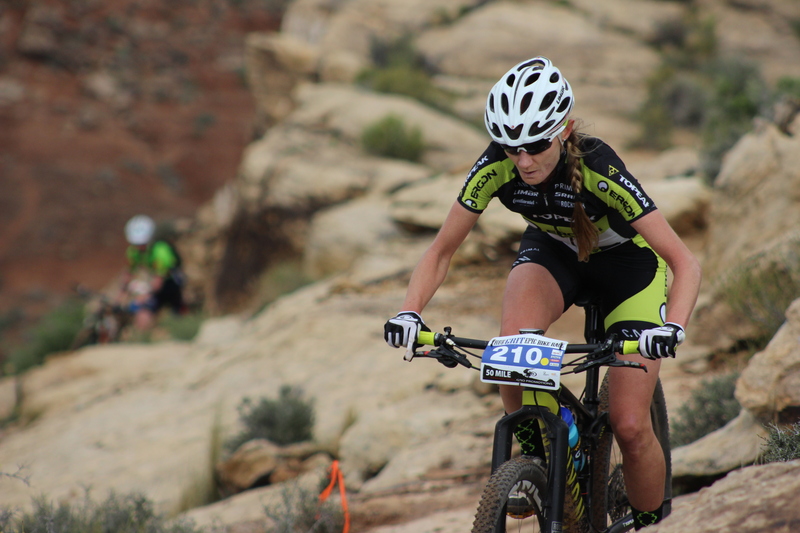 The seventh annual event includes distances of 50 and 100 miles and is expected to attract 76 professionally supported athletes and more than 400 amateur mountain biking enthusiasts. This year’s races are expected to entice approximately 500 participants – an increase of approximately 25 percent from 2016. A significant reason for the bump, Chacon said, is that more local riders are gearing up for the challenge this year. The largest percentage of race participants come from outside the area. Chacon said that in past years approximately 90 percent of the participants resided outside Washington County. A year ago, five countries and 37 states were represented – perhaps drawn by the area’s scenic grandeur. Chacon said the public is invited to gather at the finish line between 1 p.m. and 5 p.m. Bailey Carter, winner of Dixie’s Got Talent, will sing the national anthem. There will be live music from Family Tradition and a beer garden. Santa Clara Drive will have two brief closures Saturday from 7-7:15 a.m. and 8:30-9 a.m. The late registration period goes through Friday and can be completed online at truegritepic.com/registration-and-fees. There is no race day registration.